Cappuccino, Is it Really That Hard to Make? Favorite Things in Venice (and Italy) In Italy: the perfect cappuccino can be found almost everywhere, that is before lunch. After lunch, no Italian orders cappuccino, rather they move on to the espresso, or macchiato or even a café correcto (corrected with a certain amount of liquor). Cappuccino, the plural of which is cappuccini, seems to be very difficult to make in the US. But So these are my observations between ordering coffee drinks in the US and Italy. 1) In Italy no one ever asks me what size cappuccino I want. It comes in one size, a nation of 60+ million people agree on this. 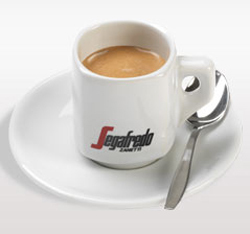 And they are authorities as according to Segafredo, the first “coffee-shop” opened in Piazza San Marco in 1645. 2) In Italy no one ever asks me what kind of milk I want. 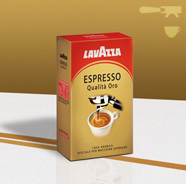 It comes in one kind, well there are several brands and the aunt of Vince actually worked for Brescia Latte. But 2%, Non-Fat or Almond are not found in the Bar. (In recent years bars frequented by tourists, now serve Soia, aka Soy). 4)In Italy the sugar is presented with the espresso and with an appropriate spoon, metal, not some skinny wooden stick that you must search all over the shop to find. 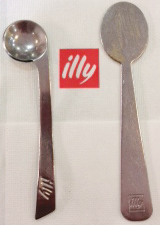 Note that Illy has it very own spoons, each with a special purpose. 5) In Italy no one asks me what flavor I want in the coffee. Each bar works with a specific coffee roasting company. They use one bean, one roast. If I do not prefer that brand, I simply do not go to the bar. No one feels the necessity to add caramel, peppermint, pumpkin or any other flavors. It’s all about the Art! 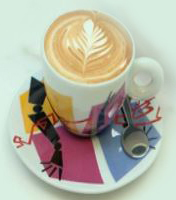 “A cappuccino is an approximately 150 ml (5 oz) beverage, starting with equal parts espresso and milk, each 30 ml (1 oz). 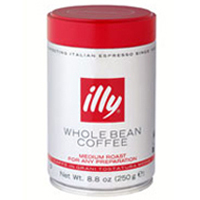 The foaming action creates the additional volume.” Source: Illy And if you’d like to see how to make the foam, click on the picture, there’s even a video to teach you! I may send this link to several coffee shops. 7) In Italy being a barista is a perfectly acceptable and profitable career. It is NOT what you do while you are going to school, studying to be an actor, lawyer, or brain surgeon. In Italy families own the bar, they work in them for entire career and often hand it down to their children, who apparently also inherit the necessary technical skills it takes to make a cappuccino, a macchiato, an espresso, even a double espresso. Now I realize that some notable companies have made fortunes asking multitude of questions, serving coffee drinks that take 2 minutes to describe, you know the tall skinny nonfat caramel mocha (have no idea what you might get) and consuming more milk than the babies. We have been going through a bad period here in our local coffee shop(in the US). The “barista” and I use this word loosely, changes daily, and has experience I measure in hours, not even days. When I ordered a double espresso, I received two (2) cups, each with one (1) shot of espresso in each cup. So If I add them up, I guess that’s a double! I have resorted to drawing lines on the ubiquitous paper cups to preserve the worlds milk supply from dwindling. 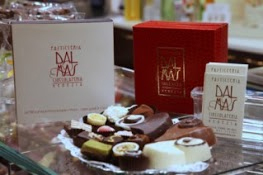 DalMas My favorite Pasticceria and Cappuccino! Imagine how comforting it is to stop in my favorite Venetian pasticceria with the added benefit of a coffee bar, the Barista (17+ years experience), nods – no words needed and my perfect foamy cappuccino in a real cup, not paper, appears presto on the bar! I leave my 1.3 Euro (~$1.69), not my life savings, and am on my way. 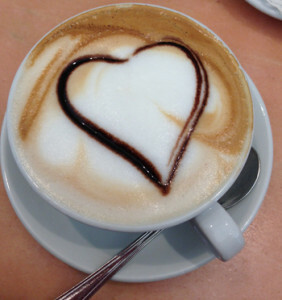 Wonderful Blog on cappuccino. Reminds me when my husband ordered a “Latte” at the bar in Venice. They aasked him if he wanted it hot or cold. He thought that odd and said, “Hot.” They brought him a glass of hot milk! That’s great Fran! Would love to have seen your husband’s face. Hope you both had a good laugh.